Moscow. Russia. June 12, 2018. 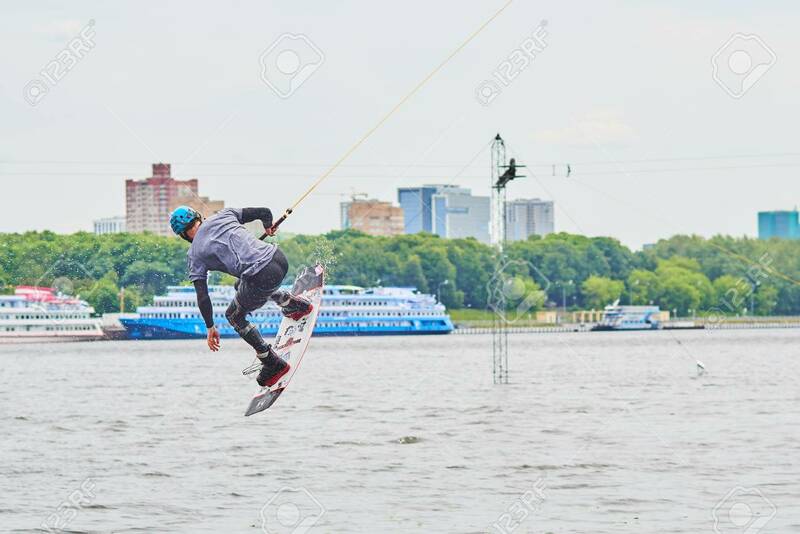 A Man Is Riding A Wakeboarding. Fotos, Retratos, Imágenes Y Fotografía De Archivo Libres De Derecho. Image 104750556.